If you need to replace the windows in your Hilton Head, South Carolina, home, you should take full advantage of the opportunity to boost your home’s energy efficiency, curb appeal, and security. At Porch Outfitters, we install exceptional vinyl windows that offer best-in-class features to provide you with an incredible value for your investment. These windows meet all local hurricane codes and installing them may even entitle you to receive up to $5,000 from the South Carolina Safe Home program. 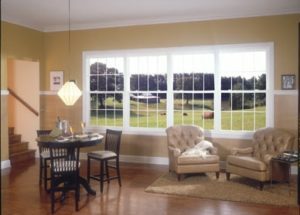 Additionally, the vinyl windows we install are Energy Star® rated, which means they will effectively prevent heat transfer. This is invaluable in our regional climate, where a lengthy warm season can result in frequent air conditioning use and high energy costs. With our windows, you’ll be able to stay cool throughout the sweltering summer without having to worry about breaking the bank. At Porch Outfitters, we are full-service remodeling professionals who have been exceeding our customers’ expectations since 1987. To ensure each and every project is completed according to our high standards of quality workmanship, we only employ our own extensively trained installers – not subcontractors. This commitment to quality has helped us maintain an A+ rating with the Better Business Bureau. To learn more about the advantages of having Porch Outfitters install premium vinyl windows on your home in Hilton Head, SC, contact us today.